Welcome to our article about the top Niagara toilets, chosen especially for you. Buying a new toilet sounds so simple, yet there are so many decisions to make and so many options available. We love Niagara Toilets, and we think they can offer up some solutions that will enable you to stop having to trawl the internet looking for your next toilet. We have done extensive research on the models available from Niagara Toilets, and we have chosen the best two models currently available. We hope this makes the research stage a whole lot quicker and easier for you! Niagara Toilets was founded in 1977, and since then, it has gone on to become one for the most recognisable bathroom brands in America. Their simple yet effective mission statement reads as follows: “To innovate and conserve without sacrificing performance.” Sounds ideal doesn’t it? This brand can bring the best of both worlds – forward thinking technology and conservation of water (which leads to more money in your pocket as well as reducing your carbon footprint). Their tagline, “We didn’t set out to sell toilets. We wanted to save the Earth. Now we do both.”, is a good indication to Niagara Toilet’s dedication to saving water. They are also conscious of the fact that today’s consumer wants it all – not only are their toilets innovative and green, they are also pleasing on the eye, meaning that your bathroom can look as good as you want it to – without sacrificing the Earth! Here, we will discuss in more detail the two models we have chosen so you know what it is about them that sets them apart from the competition! 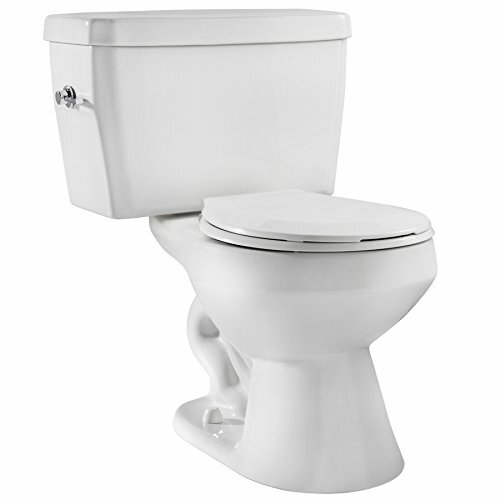 The Niagara 77001WHCO1 Stealth 0.8 GPF Toilet has an ultra high efficiency flush, using only 0.8 gallons of water per flush. This means you can save fifty percent of the water used on dual flush models. The flush is pressured assisted, which means it doesn’t rely on the water alone. Although the water plays its part as it pushes the waste away, the pressure assists by effectively sucking the waste away at the same time. This ADA compliant toilet has an elongated bowl for your comfort and its crisp design will lend a touch of elegance to your bathroom. The Niagara 77001WCHO1 Stealth 0.8 GPF Toilet is ideal for anyone who is conscious of trying to help the planet without wanting to dedicate a lot of time and effort to their bathroom needs. The Niagara 22003WHCO1 uses flapperless flushing technology, which not only eliminates unnecessary noise, it also means there are no chains to snap and no flapper to jam, meaning that you are virtually certain that you won’t need any repairs or maintenance work on your toilet’s flushing system. The quiet refill makes this toilet ideal for anyone with young children who you don’t want to awaken any time you flush the toilet in the night. The ADA compliant model uses slightly more water per flush than the Niagara 77001WCHO1 Stealth model, but it still significantly reduces wasted water by employing a gravity assisted flush. The round bowl makes this model perfect for smaller bathrooms. It can save space while still performing effectively time and time again. The Niagara 22003WHCO1 Toilet is perfect for anyone who wants to do their bit for the environment, but is budget conscious and doesn’t want to splurge on an expensive toilet. Now all that’s left for you to do is choose your favourite model. Will you go for the functionality of the space saving Niagara 22003WHCO1 toilet? 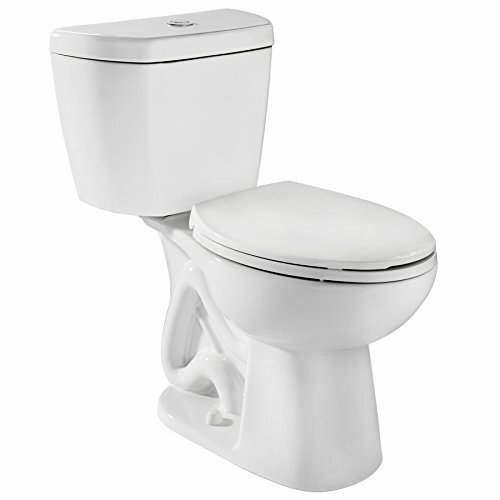 Or will go for the sleek design and comfort of the Niagara 77001WCHO1 Stealth toilet?